CAFENCE DEPOT Inc. is a company dedicated to provide all the your Temp Fencing needs, including Temporary Fence Panels, Fence Panel Stand, Privacy Windscreens, Crowd Barriers and Full Line of Fence Fitting. We do the Temporary Fencing supplies all in one. CAFENCE DEPOT Inc. is located in Sothern California city of Walnut. We are the member of American Fence Association. 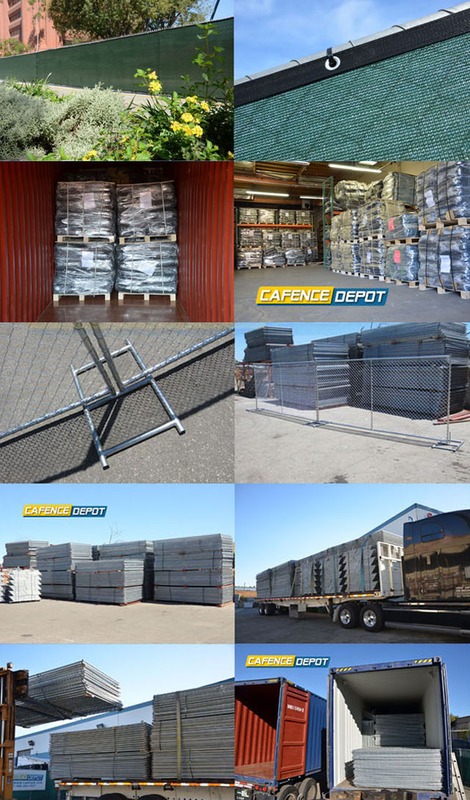 CAFENCE DEPOT Inc. is not only a wholesale company catering Temporary Fencing supply in Sothern California, but also cater to any other states throughout the United States. We deal with shipping our products by any 20 ft, 40ft or 45ft containers door to door from our mills to your location. About CAFENCE DEPOT Inc., You can go http://www.cafence.com/catalog.asp download About Cafence Depot Inc. Please feel free to call our toll free number 888-242-2437 or E-mail to cafences@yahoo.com to lean more.